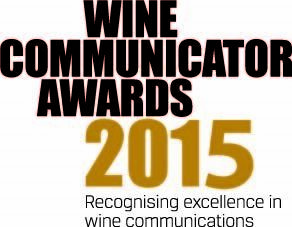 Entries open today (8 July) for WCA’s prestigious annual Wine Communicator Awards, which for the first time will include a category for Best Wine Educator. There will be nine award categories in all this year, including the Wine Communicator of the Year, Digital Wine Communicator of the Year, and New Wine Writer of the Year, which is run in partnership with Gourmet Traveller WINE Magazine. The judging panel will include last year’s Wine Communicator of the Year, wine writer and author Jeni Port, VinTank’s Paul Mabray, Fabulous Ladies Wine Society Jane Thomson and Anne Duncan, from the Australian Grape and Wine Authority. The New Wine Writer Award will be judged by Gourmet Traveller WINE Magazine editor Judy Sarris, contributing editor Huon Hooke, and WCA Deputy Chair Angie Bradbury. Ms Port said the awards were highly sought after and she had considered it an honour to follow in the footsteps of previous winners such as Andrea Frost, Andrew Caillard, MW, Paul Henry, Peter Bourne and Peter Forrestal. Information about the awards, eligibility and judging criteria can be found here. You can also follow updates via WCA’s Twitter tag: @WineComAust and #WCAwards.